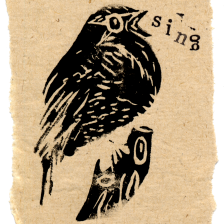 I have over 12 years experience in leading community singing groups, mostly with Protest in Harmony, Edinburgh’s radical street choir. More recently I set up The Warblers singing group for people with chronic lung conditions. 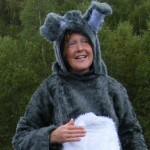 I write and arrange some songs, am particularly experienced in singing in torrential rain outside the gates of Faslane and have sometimes been spotted dressed as a grey rabbit. I am an experienced group facilitator and community worker and have worked within the disability movement for the last 20 years. 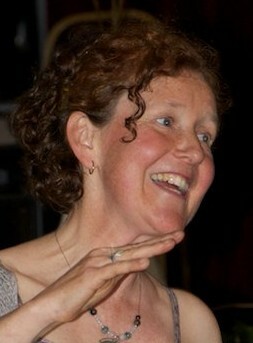 I am passionate about empowering people through song and bringing diverse groups of people together. One of my singing highlights was co-leading a choir of over 250 people from across Britain for the Guid Cause re-enactment of the women’s suffrage march in 2009. 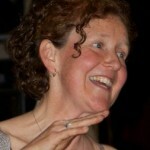 I am a member of the Natural Voice Practitioners’ Network and the Scottish songleaders network.